Huawei Honor 8X was launched earlier last month in China and now its finally coming to India. The new Honor 8X will be launched in India on October 16 at an event held in New Delhi. The device has also been launched in some other parts of the world as well, which includes Dubai, Spain on October 2, and now the device will be launched in India. The Honor 8X sleek matte finish design and has a display Notch ta the front. There is a dual rear camera at the back and a fingerprint sensor. It comes with dual sim card support and powered by a HiSilicon Kirin 710F SoC, which according to the company claim will provide up to 75% single-core performance boost over its predecessor, and a 130% GPU performance boost. The includes a 4GB/6GB RAM variants with 64GB/ 128GB of onboard storage. 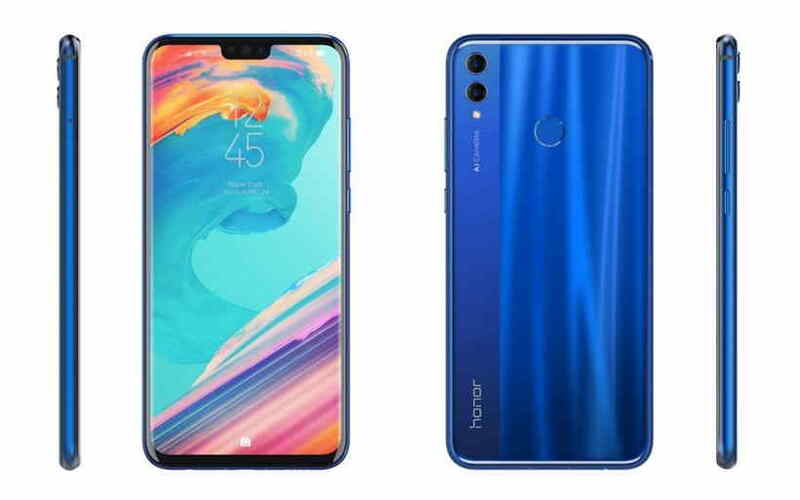 The Honor 8X runs Android 8.1 Oreo on EMUI 8.2 on top, and sports a 6.5-inch full-HD+ (1080×2340 pixels) TFT IPS display with a 19.5:9 aspect ratio and a 397ppi pixel density. On the camera front, the Honor 8X sports a dual 20-megapixel primary sensor and a 2-megapixel rear camera setup, coupled with f/1.8 aperture and an LED flash. On the front, the Honor 8X sports a 16-megapixel selfie camera with f/2.0 aperture. There is 3,750mAh battery under the hood and the phone also comes with dual SIM card support.